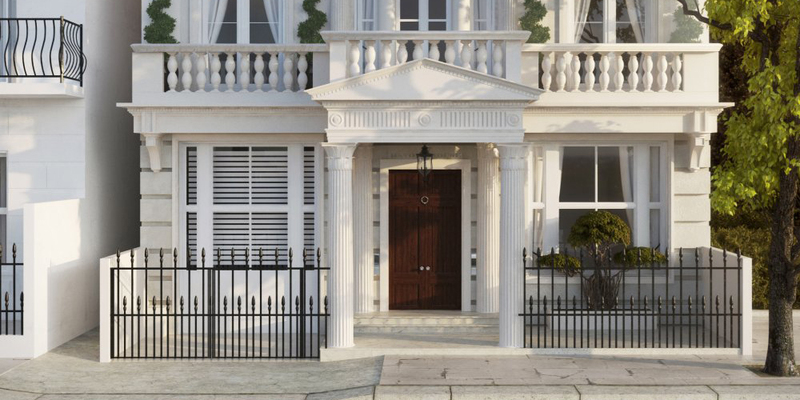 Havona House, in London’s exclusive Notting Hill neighborhood, has just gone on the market for $35 million, making it the area’s most expensive home ever. PARKPLUS was approached in late 2017 to rescue the project, which had been sold a faulty robotic parking system. The parking system needed to be resolved and installed within 2 months. The PARKPLUS AGV was the only solution that would work for this project. The system consists of free-roaming, battery operated, omni-directional units using traffic management software, markers, vision systems and lasers for self-guidance to manage the automated storage and retrieval of vehicles on trays. 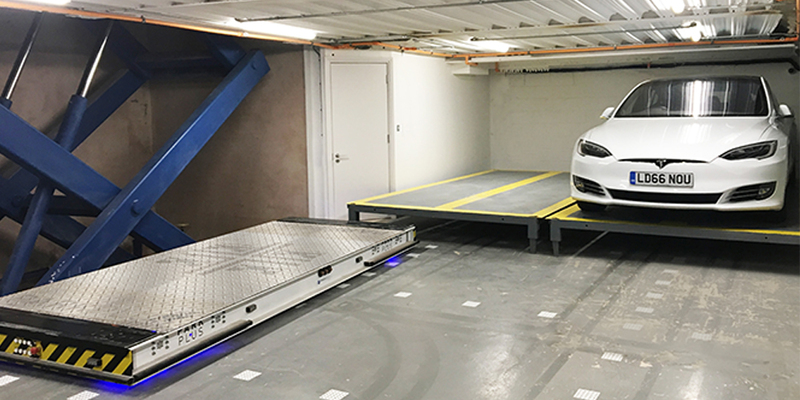 PARKPLUS designed a fully automated robotic AGV parking system to accommodate 3 vehicles in the tight parking vault. PARKPLUS coordinated with local Installation and Maintenance partner, CE Lift, to install the system within the required timeframe. This is the first PARKPLUS AGV installation in Europe. 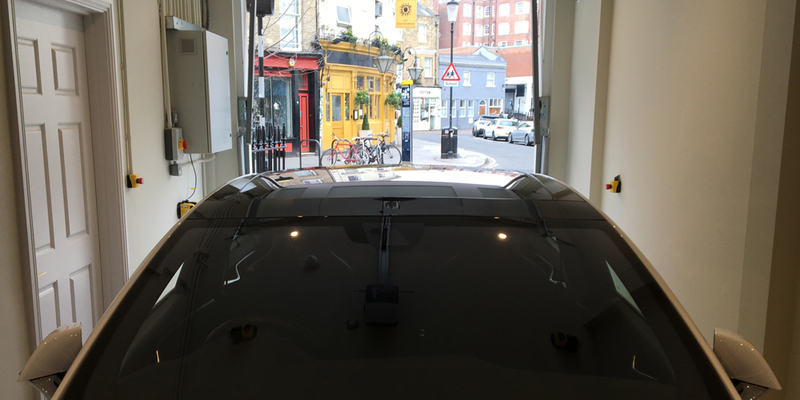 The vehicle is parked in the Loading Bay and lowered to the Parking Vault. In the vault, a robotic AGV lifts the vehicle on a tray, rotates 180 degrees and parks the vehicle. 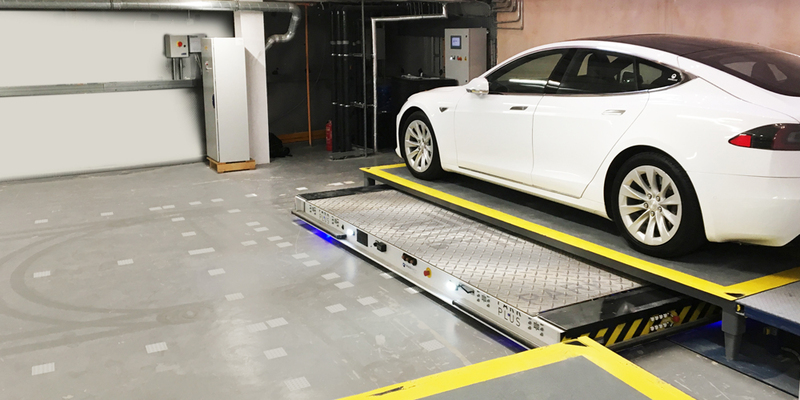 The system includes an online app which can summon the vehicle from the vault to the Loading Bay prior to use.